What is the impact when they realize how much they differ from peers, but can't quite make sense of what it all means? What transpires when adults witness these children's intellectual and social/emotional differences, but refuse to give voice to what they see right in front of them? Whether resistance to identification arises from doubts about the evaluation process, philosophical views about giftedness, biases, ignorance, or concerns about the gifted label, gifted children may be labeled (with something) nonetheless. Without an accurate and informative term that conveys an understanding of giftedness, though, they are more vulnerable to incidents of misidentification and misdiagnoses. An accurate label, a clear explanation, and ongoing guidance about what it means to be gifted will help gifted children adapt. It also conveys essential information, clarity and a framework for understanding giftedness for adults who are teaching and caring for these children. Yet, there is resistance to this simple concept of identification, and to using the gifted label. Some propose that gifted children should not be told that they are smart, and imply that conveying information about their abilities is equivalent to praising them for their innate talents. Others claim that "all children are gifted" or that identifying a child as gifted will create a "fixed mindset," or cause an array of psychological problems. Even when not formally identified, though, gifted children stand out from the crowd and become targets for labeling. Children may taunt them with names such as nerd, geek, or smart-a**, because of social immaturity (i.e., asynchrony) or innate differences or just plain smarts. They may be ostracized or bullied because of their differences unless they learn how to fit in. Gifted children often present with overexcitabilities, quirks and neuroatypical characteristics that prompt puzzled adults to slap on serious-sounding labels - often with little understanding of how giftedness plays a role. Although this might be well-intentioned, many professionals don't know a lot about giftedness. Sometimes diagnoses like ADHD, autism spectrum disorders, and even oppositional-defiant are tossed about with little regard to their impact - or to their accuracy. If gifted children's behaviors already gain notice (and invite inaccurate labeling), what is the harm in providing an accurate label? Why not embrace use of an informative, descriptive and accurate label that can aid adults who educate, treat and nurture these children? Resistance to identification may stem from concerns about elitism, equity, upsetting district parents, or opposition to use of the gifted word. Many find the actual gifted word offensive, since it implies having a gift. But whether you use the gifted word or a different one, students' needs still must be addressed. Misconceptions are sometimes based upon personal opinions or biases among educators and parents, or occasional anecdotal reports from gifted adults who claimed that being gifted caused emotional distress. 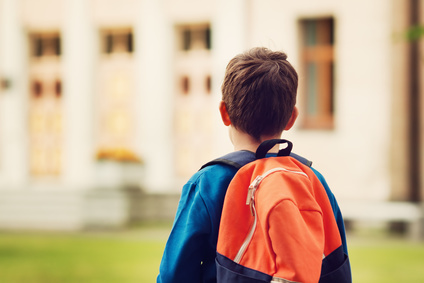 Eager to justify elimination of gifted services, these reports are targeted to suggest that gifted identification might produce long-lasting scars. Sometimes resistance may result from inadequate training in gifted education. Some educators and other professionals don't understand gifted children's unique learning needs and potential. Gifted students' abilities are conflated with those of high achievers, and their performance is tied to test scores. Their social and emotional traits may be viewed from within a psychiatric framework rather than an understanding of asynchrony, neuroatypical development or overexcitabilities. Other times, struggling schools are blamed. Some claim that labeling gifted children won't improve their education within a flawed school system, so why bother identifying them anyway. Some researchers highlight the importance of quality education for all, an important and lofty goal, and stress the fluidity of academic growth. As highlighted in a previous post, this view emphasizes academic performance among bright students, but downplays the pace, depth and complexity of learning seen among gifted children. Would school staff refuse to identify (and offer services to) a child with dyslexia because it might hurt her feelings? Would a pediatrician refuse to diagnose a medical problem because it might upset the child or parent? Would a school (get away with) a refusal to evaluate a child with a suspected learning disability because the school had inadequate teaching resources? Would school administration refuse to implement a highly effective educational strategy for at-risk, low-performing students because other vocal parents don't "believe" these kids have such needs? Of course, the above situations seem far-fetched. But comparable decisions occur with striking frequency for gifted children and their families. While some might argue that the above examples represent "real problems" and giftedness is an advantage, those who understand the needs of gifted children are well aware of the stressors and potential difficulties that can arise when their education is shortchanged. Let's put these misconceptions to rest. As a psychologist, it is clear to me that diagnosis informs intervention. That does not necessarily mean reliance on formal DSM-V categories. But understanding the root cause of one's behaviors is essential to knowing how to help. If we deny gifted children the same consideration, and refuse to define giftedness, they will be misidentified, misdiagnosed, and may never receive the education, intervention, or services they desperately need. Gifted children are smart enough to know they are different from their neurotypical peers. No one has to tell them. They realize it on their own. Often there is a defining moment when they recognize that they "get it" in ways their peers may never fully grasp. They learn at a faster pace, and with greater depth and complexity. They are highly sensitive and preoccupied with injustices and existential concerns. Their worries, thoughts and interests are just, well, different. Telling a gifted child that he is like all the other kids, that his mind works the same way, and that he just needs to try harder to fit in, is dishonest. You might wish it were true. Your child might even want to be "average." But denying the truth won't help you, your child, or anyone else who has to work, teach, play or interact with him. It also leaves your child feeling confused. He knows he is different, and gets feedback about this every day. Yet, the overt messages he receives tell him to ignore and deny his own perceptions. This level of denial is a set-up for self-doubt and the development of distrust toward others. When gifted children realize they are gifted (regardless of whether they are labeled), they initially may feel pride and excitement. But sometimes they experience confusion, embarrassment or even guilt. They may not feel "entitled" to their passion for learning, and feel guilty when they easily complete assignments and their friends struggle. They may feel ashamed about their heightened sensitivities - not understanding why they react so strongly to perceived injustice. When adults refuse to explain giftedness to gifted children, they deprive them of a context and framework for understanding their intense emotional reactivity, their real differences from peers and how they approach learning. Parents, physicians, and teachers help children understand, for example, what it means to be depressed, to have dyslexia, or to experience overwhelming shyness. Pretending these conditions do not exist would prevent children from understanding what is happening to them, and from access to interventions that help to manage their differences or struggles. Why would we deprive gifted children of the same understanding and intervention? We all hold conscious and unconscious biases and prejudices. Gifted children's talents invite projections of envy, bitterness, and false beliefs about the nature of their abilities. Some characterize gifted children as privileged rather than acknowledging their learning needs. Many seemingly logical people will fall prey to false beliefs and misunderstandings. How often have you heard the following? I don't believe in giftedness - all children have the same potential if we just find the right tools to educate and encourage them. Gifted children are merely bright students who are high achievers, or whose wealthy parents provided enrichment opportunities to help them get ahead. If we give gifted children extra help, it will deprive other kids of the education they need. It's just not fair. Refusing to identify gifted children and accurately label their abilities creates a culture of denial about talents and educational needs. If we can't give it a name, we can't adequately address it. Until we recognize that giftedness must be understood and served within the educational system, gifted children's emotional and academic needs will suffer. And they will continue to receive misdiagnoses and inaccurate labels. Misidentification and denial are not the answer. We know that there are intellectual and social/emotional traits that must be addressed when raising, educating and treating gifted children. It is misguided to assume that keeping children in the dark about their giftedness is beneficial. Or that adults should ignore their educational needs. If parents and teachers are concerned that gifted children will not understand or respond appropriately to a gifted label, there are tools for explaining giftedness to them. If teachers lack sufficient training, additional education is available. And parents can continue their efforts to educate other adults among their circle of friends, family and community. Otherwise, gifted children will continue to be misdiagnosed, overlooked and misunderstood. One of my biggest pet peeves are the PhD professionals who get into psycho-educational testing and evaluation because their degree qualifies them to buy and administer the tests and they do it for the money. Alessa, Thanks for your comments. I have not run into that, but it is so unfortunate that you have encountered professionals who are doing testing for financial gain. I hope this is rare! Thank you so much for this. Gifted kids need schools to know who they are, and teachers and other people should stop labeling them with medical terms just because they don't understand them. Anonymous, I appreciate your comments. I appreciate the piece because it's heart is about doing what is best for kids. Not grown-ups, not teachers, not schools. Kids. I'm curious about your thoughts on the intersectionality of race in identification and misidentification of children. Thanks, Rebecca Marie. As to your question, I agree with many others that minority children are frequently underidentified, or may be misidentified as having ADHD or ODD. Articles about the excellence gap have highlighted how gifted minority and low-income students are not reaching their potential. Policy against gifted services because of equity concerns sometimes overlooks these gifted minority students. What do you think? As a (undiagnosed) gifted child, I look back at my life - specifically my childhood - wondering if being recognized as being gifted would have prevented ostracism and frustration, and helped build a better understanding that some people will not know what you do (at least not at the moment). I still struggle and forget that others simply do not have the knowledge I do. Perhaps this why I now teach because I love learning (I have 3 degrees) and supporting those who are willing to learn. Also, people need to recognize that gifted people cannot do EVERYTHING by themselves, and that we make mistakes too. I find these misconceptions are common. I agree with your position; thank you for writing your article. Anonymous, Thank you for sharing your experience. It is so helpful to hear from those who have gone through this as children. So great to hear that you are helping others through teaching. It's usually easy to agree with you, but for this I agree most about with challenging the way children are often presented as being passive actors. Some of the critical/hostile arguments can fall-apart if you take that away. Don't want to extrapolate too far from one child, but tales from my 14-year-old daughter's (English) school-side life imply that much of what is frequently attributed to labels may well happen without them. For instance in recent years she has increasingly felt pressure to perform very well and looks like quite the perfectionist at times. She's very good at reflecting on and explaining her motives, and having heard it from several angles that is almost entirely about peers. They know she's good at some stuff because from a much younger age those children have always known approximate class rankings for most things. It doesn't need labels, teacher reading out scores or charts on walls because they talk to each other, compare and just figure it out. Being well aware of peers expectations, daughter is quite self-deprecating in an attempt to depress them and relieve the pressure she feels. But in response her kind, supportive close friends disagree and tell her that she's really great at X and will do brilliantly at Y. Around and around it goes. Of course some will immediately blame the label for this little predicament, but the problem with that claim is that it is not part of her considered explanation, not least because she doesn't have a label: 'gifted [& talented]' has been deprecated in many schools here for 5-6 years. The label obviously does do what you describe i.e. formally identifies a child as having non-standard needs. In a busy educational system that is extra work and it's quite obvious that some will reach for any vaguely credible sounding argument to try and make another demand on resources go away. This is understandable at least, unlike those pernicious anti-intellectual folk who want these children kept down. Pique ABoo, Thank you for your comments about your daughter and thoughts about labeling. It sounds like even without a specific label, those who know her develop their own judgments anyway. I am glad to hear that at least she has a friend she can work together with in math. It is my personal observation and experience that schools do quite a good job of identifying gifted children when they are quite young. I was identified as gifted when I was in kindergarten. However, I think they are failing miserably at seeing that those children don't fall through the cracks as they grow older. By middle school, many of the truly gifted will have fallen through the cracks, to be replaced by the high achievers, most of whom have pushy parents, obsessed with the concept that their child is brilliant. It gets worse by High School. Much of this is cultural and quite possibly something exclusive to America. Americans love the idea of seeing the underdog succeed. I also think that young men who are gifted face a much steeper hill in today's culture than do young ladies who are gifted. The obsession with athleticism that is prevalent in American school culture often leads to the success of young men who are by no means gifted and the marginalization of those who are profoundly capable. Americans have grown overly idealistic about education and the progressive attitudes that prevail about education may be silencing some of our most brilliant minds. Anonymous, Thank you for your comments. I would agree that many gifted children are overlooked by the time they reach middle school, and often become underachievers. However, I also think that many young gifted children are not identified as gifted, particularly those who do not "look gifted" to teachers or others in authority. This is especially problematic for minority, ESL and low SES students. "Telling a gifted child that he is like all the other kids, that his mind works the same way, and that he just needs to try harder to fit in, is dishonest." Couldn't agree more! Like you, I often see the ramifications of this in the kiddos I work with . . . they know they're different, lets give them words and understanding so they can accept and explain their differences to themselves and others. Thank you, Heather. You also understand the importance of validating their personal experience, and then helping them understand and develop the language to express who they are. I appreciate your comments. I have an educator, consultant to schools and families, and facilitated parenting workshops and groups for almost 30 years. So, I have seen, experienced, and observed the names we sometimes give to some children change and evolve over time. For me, I always have, and will..see the child before me. A diagnosis, to me, is a limitation...and does have impact on my ability to clearly see a child. I have also have observed the impact these diagnosises have on adult interactions with children. We are all who we are....expressing in beautiful and unique ways. As adults and children. There is mystery in knowing another person, in connecting and meeting them with as much presence and openness as I can. I have had very young children over the years come to me, early in our meeting together and ask me if they are smart, clever, good, bad....and I say I don't understand these words, but what do they mean to You? I see you. My son was a self taught reader at 2 years old and was a bird enthusaist, but he was kicked out of preschool (they told me he needed a 'helper') for being unable/interested in sitting at circle time to learn his ABC's! he has a passion for animals and declared he was a vegetarian at 4 years old. Everyone around me had a diagnosis for him, but no one understood, or knew about giftedness. It is my job as my Mother to guide him through. Unknown, Thank you for your comments. As you noted, when people don't understand giftedness, they often come up with a range of other assumptions. Good luck with your child. My daughter is linguistsly gifted (taught herself 3 languages) and also an incredible artist. This has all come at a cost of extreme anxiety and fear of failure, I believe. I always say her giftedness came with a price. We have worked on all the extras and fear what college will do to this child. We are mostly concerned with her anxiety and pressure on herself. She was fortunate to be in a college prep school which allowed concurrent enrollment in college classes, which I hope helps. We never worried about her academically because of her talents, it’s just that emotional piece that always concerns me. There are indications that my youngest is also gifted and I absolutely fear it because of all the struggles that accompany it. He is very young and this article and my experience has left me with hope that I can guide him through this better than my daughter. The emotional piece is more difficult to understand than the gifted piece and much more challenging for sure. I am a teacher and I still struggled with what this meant and how best to serve my daughter. Thank you for the insight. Thank you for sharing your experience. You raise that important point about how the emotional aspect of giftedness can be more complicated than the intellectual component. Good luck with your daughter. Carrie, Thank you for your kind words, and for your comments about knowing you are gifted. It is helpful to hear from others about how this labeling has been beneficial. I'm glad it helped you so much.